The Fayette County Commissioners recently decided to support a request from the Fayette Soil and Water Conservation District (FSWC). The FSWC is sending an application to the State of Ohio for the purchase of agricultural easement(s) of one or several county properties. The commissioners agreed that the requested properties would work with the goals regarding the preservation of farmland within the county. The properties include two in Paint Township totaling 1,042.91 acres, one in Jefferson Township that is 65.12 acres, one in Perry Township that is 199.53 acres, and one in Union township that is 50.75 acres. Other business the commissioners attended to involves various bids. Concerning the Sabina and Paint Township Marcs Tower construction project: one bid from Speelman Electric, Inc. was received in the amount of $541,713. The bid was placed under further review and recommendation. Concerning the 2019 county road paving project: one bid from Cox Paving, LLC was made in the amount of $906,178.14. Fayette County Engineer Steve Luebbe recommended the acceptance of the Cox Paving bid, which the commissioners granted. Concerning the Fayette County adult detention facility, testing and inspection services, three bids were received: Intertek-PSI bid $92,648.50; Geotechnical Consultants, Inc. bid $154,931; S&ME, Inc. presented a fee schedule. The Intertek-PSI bid of $92,648.50 was accepted. Concerning the 2019 Fayette County chip seal program: two bids were received. Both Allied Construction LLC and Miller-Mason Paving Co. bid the same amount of $162,466.18 for the chip seal and $33,292.25 for the fog seal, totaling $195,758.43. Since the same amount was bid, it was moved per the recommendation of Luebbe to re-bid the project. In other business, an agreement was entered into with Kone, Inc. to furnish and provide the labor, materials, tools and supervision to perform a five-year traction elevator full load safety test required by the state code. This test will be done for each of the four elevators in county-owned buildings for a total of $6,537. Stay with the Record-Herald weekly for more updates from the Fayette County Commissioners. 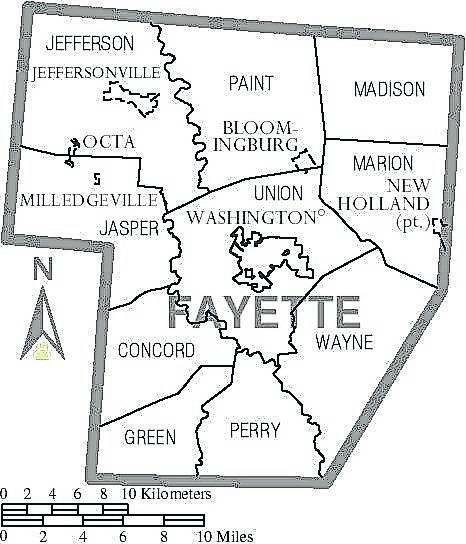 The Fayette County Commissioners’ Office is located at 133 S. Main St., suite 401 in Washington Court House and their office hours are Monday through Friday, 8 a.m. to 4 p.m.They can be reached at (740) 335-0720.